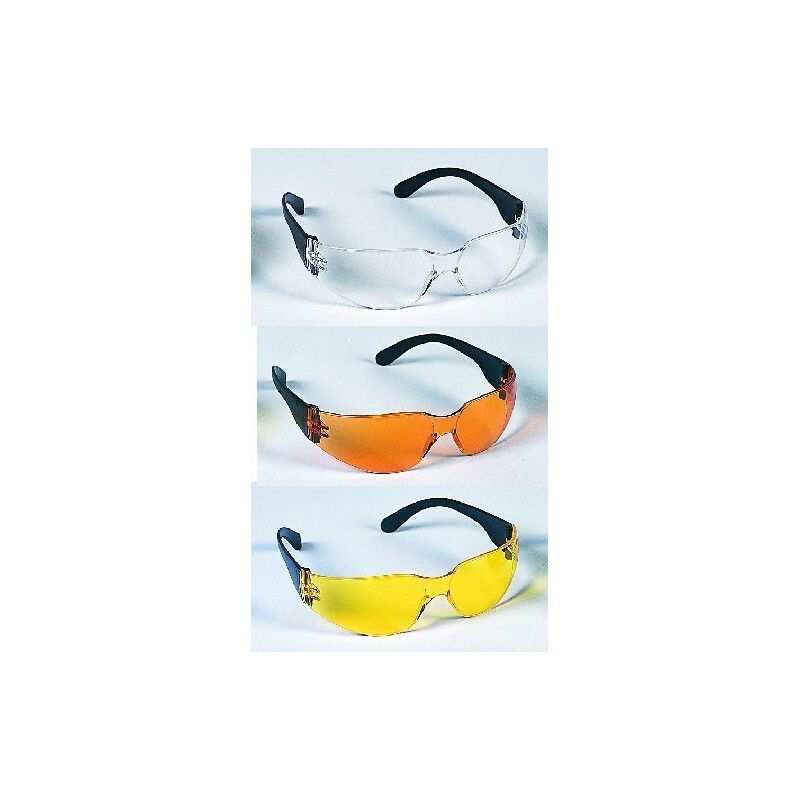 These SAF-T-CURETM HIGH-STYLE UV FILTER GLASSES feature a new frameless design. This lightweight, wraparound style is scratch-resistant and offers 99% UV protection. 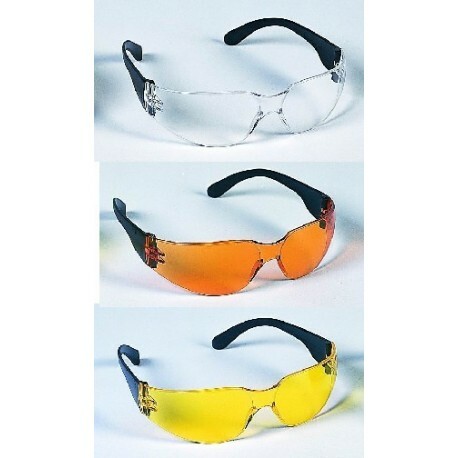 Available in black temple with clear, orange, or yellow lenses. Also available in black temple with gray lens and slight gold mirror surface (not pictured above). For details see support document in left column. Meets ANSI Z87.1. Sold individually or 24/case.